Now you may not think your toilet is important when designing your bathroom this Easter, but the toilet you choose can impact your entire bathroom space, which is why toilet design is so important. Toilets come in a range of shapes and styles, you can choose square or oval toilets depending on your overall bathroom design. Then there are even toilets that help you maximise the space you have available, the back to wall toilets. If you’re shopping around this Easter for a new toilet for your bathroom, you may want to take a look at the back to wall toilets and see how they can help you make the most of the bathroom space you have available. 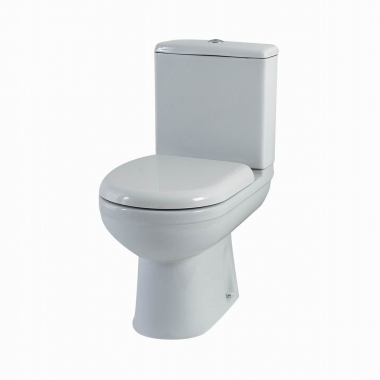 The first consideration when choosing any toilet whether you choose a toilet that has the cistern attached to the bowl or you’re looking at back to wall toilets is the shape. The shape of your toilet is important because it should blend in with the rest of your bathroom design. If you have designed your bathroom with straight edges and a minimalist look, then you’ll want a square toilet to compliment the space. The same applies if you have chosen bathroom products that are curved, round or oblong, a round or oblong toilet will work best. When designing a smaller bathroom the back to wall toilets are the best choice helping you maximise that floor space. If you aren’t sure what back to wall toilets are, they are toilets where the cistern is hidden behind the wall so you only have the bowl in the bathroom, this can save you a tremendous amount of space, especially when working with a very small area. Round toilets also work really well in the smaller bathroom setting while large bathrooms can benefit from either the traditional design of toilet or the back to wall toilets, it’s really down to you. If you have chosen modern with a large roll top bath, counter top basins and a lot of chrome and glass, then the back to wall toilets will blend in beautifully, enhancing the space and carrying out that “wow” factor that you are looking to achieve. Whichever toilet you choose, whether it includes the cistern or is the back to wall design, all you have to do when making your selection is imagine how it will look in your finished bathroom design. I think one of the most frustrating things in any bathroom is not having enough storage space. Without adequate storage your bathroom starts to look like a disaster zone with towels strewn everywhere, make up on the basin and hair products lining the window sill. These days we all take such pride in our bathrooms, we try and achieve a modern look, a sophisticated finish and an elegant space, which is almost impossible when you have your bathroom items everywhere and nowhere to store them. The bathroom cupboards available come in a range of styles, helping you integrate them into your bathroom space with ease. I always prefer white, but that is just my own personal preference because I like the minimalistic design. The bathroom cupboards come in a range of great single door designs, some have an additional drawer and some are elongated, perfect for the larger bathroom space. Not everyone is keen on plain white, there are a host of bathroom cupboards available in black or even light wood helping you add texture to your design. Often you will choose to add a splash of colour to your bathroom, this may be a large freestanding bath in the centre of your bathroom with a black bath panel and you can combine that with black bathroom cupboards to enhance the space. Whichever of the bathroom cupboards you choose whether it’s a smaller single drawer design or a larger design which includes a laundry hamper, the choice is up to you. The one thing you do need to take into consideration is how much space you have available in the bathroom for bathroom cupboards and which one will offer enough storage for all your items. Some can be mounted on the wall while others can stand on the floor, this is also up to you and your bathroom layout and design. Often smaller bathrooms will benefit from wall mounted bathroom cupboards where you don’t compromise on the floor space. These cupboards can also work as an art piece on the wall, a way to cover what would have been a bland and boring wall in the bathroom space. In the end the choice is yours and I would choose the one that best fits into the space and the one that is big enough to hold the family’s bathroom items. Kings Home Furnishing is our sister website which is newly built online furnishing retailing shop. Their products are in Modern Design and Durable Qualities at Bargain Prices. From big furnishing like leather bed to small home accessories like apron, You can find almost everything for your home. To celebrate the Easter, if offers 20% Off for the entire website even for the new stock. So please hurry up and do not miss out the great opportunities. From 27th March to 1st April, limited Stock ONLY. There is nothing worse than having a bathroom that is dark and doesn’t benefit from natural light. A darker bathroom space will make your bathroom feel much smaller than it is. We can’t all break down walls to add large picture windows in order to welcome the natural light into our bathroom spaces. If only this was a possibility, bathroom design would be so much easier. Now I don’t know about you, but personally I prefer bathrooms that are light, bright and airy. Managing to achieve those automatically makes the bathroom feel larger than it is. I’ve seen so many bathrooms that are hidden at the back of the home, some of them don’t have windows. As you can imagine these spaces were dark and uninviting, definitely not contributing to the home value in any way. So how do you add light to the space that either doesn’t have windows or has a small window, facing the wrong way so that the light does not reflect that through the room? The first choice is to add additional light, such as the bathroom cabinet lighting, this is not only to add extra light into the space, but makes it easier when searching through your cabinets. As you can imagine in a darker bathroom, trying to find something at the back of the cabinet can turn into a nightmare. Bathroom cabinet lighting is available in a choice of designs helping you blend them into your bathroom space with ease. You can choose between single or double bathroom cabinet lighting depending on the size of your bathroom and with great designs such as the cone design or the pumpkin design, its’ easy to blend these lights into the space to compliment your already existing bathroom products. Another great way to get light into the bathroom space is to use mirrors. As you know mirrors reflect light, so you can place mirrors around the bathroom close to your bathroom cabinet lighting, enabling the light to reflect from the mirror into the space. Now fair play this will not give your bathroom the feeling that it has an abundance of natural light flowing into the space, but it also won’t feel dark, uninviting and bland. With so many different bathroom cabinet lighting options and mirror options you can add light and make your bathroom feel spacious in a stylish and elegant way. 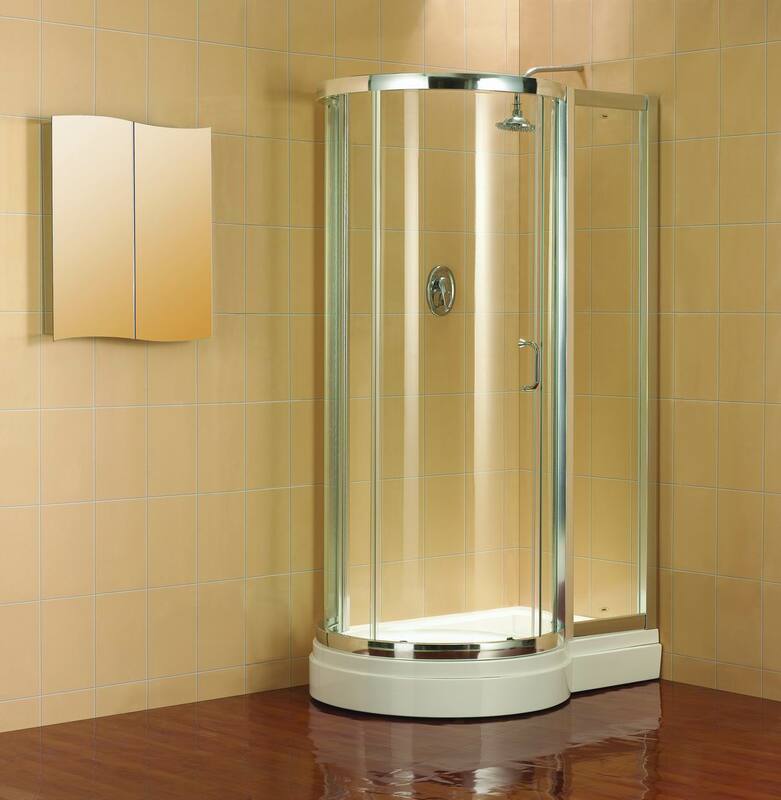 Are Quadrant Shower Enclosures the Best Choice For Compact Bathrooms? When it comes to designing a compact bathroom there is one thing that stands in your way and that is the space you have available. Careful layout, using carefully chosen bathroom products and measuring everything is the only way to get the bathroom design you are hoping for. One of the best compact bathrooms I have ever seen really made the most of the small space available. It was a galley style bathroom, very long and thin. When you walked in the door which was on the one side of the bathroom area you were faced with a good sized vanity in white which incorporated a stylish basin. The entire bathroom was painted in brilliant white which really made the space feel light, bright and airy. Above the basin was a window which allowed some light, but didn’t bounce throughout the space. Next to the basin was the toilet and then opposite the toilet they had chosen a quadrant shower enclosure with tray which fitted into the corner position with ease. Opposite the window, next to the door they had placed a large bathroom mirror with lights which helped reflect any light into the bathroom. Being limited on the bathroom space available can make turning your compact bathroom into a dream bathroom very difficult. It’s how you use the space that counts. Quadrant shower enclosures that fit to a quadrant shower tray is the first step in the right direction. These are designed for the corner in mind, either in a square or rectangular design with a stylish curved front that adds that elegance to your overall design. Then your basin. 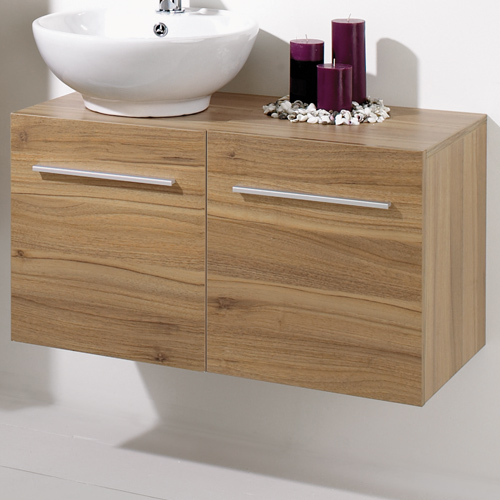 Every bathroom needs storage space so adding a vanity which includes a basin is a space saving option which also helps reduce the clutter in the bathroom, enabling you to have ample storage. This way you don’t end up with towels strewn across the floor and toiletries everywhere. The neater the better, especially when working with such a small space. Taking the quadrant shower enclosures, vanity units with basins and a back to wall toilet are all ways to maximise the space available. Be sure to paint or tile your bathroom in a light colour, white works best but natural tones are a top choice this year. Add a large window to allow the natural light to flow through the space and enjoy your light, bright and spacious bathroom design. When the time eventually arrives to renovate your bathroom, it’s such an exciting time and you can’t wait to start spending that budget turning your dream into a reality. Of course these days bathrooms are spa-inspired and luxury spaces, so you need to have a wide variety of bathroom products available, so you can find exactly what you need. You could spend days in the car driving from shop to shop searching for the perfect items. This not only wastes time and money on petrol, parking and wear and tear on your vehicle, but shops never have the variety that you can find when buying bathroom products online. Here is something you may not have known. When buying bathroom products online you are buying from a bathroom specialist. The difference is that they can hold a larger number of items at any given time because they are not a showroom. Another great thing about this is that you often find the prices on items are more affordable. Again they only have one rental to pay which is to store all the items, they have less staff and they don’t have to pay for a showroom, storage facility and an abundance of staff members to manage the two. I always start by measuring out the space I have available for each of my bathroom products. The great thing about buying bathroom products online is that you get all the information you need. If you were to walk into a bathroom supplier right now, you’ll need to go armed with a pen, paper and measuring tape. Online all the dimensions, designs and prices are available at your fingertips. Once you know the sizes you need for your bath, basin, vanity, toilet, shower or any other bathroom product you can start searching online in the comfort of your own home. You save so much time and energy buying bathroom products online, you can search in the evenings after work, compare the measurements and even have them delivered. If you think if you decide to purchase a large freestanding bath from a show room, you will need to wait for a delivery day, often the delivery day doesn’t meet your schedule. When buying bathroom products online you not only pay for the order online, but the item is delivered to your door, it doesn’t get any easier than that. Bathroom accessories, items you cannot afford to be without if you want a functional and practical bathroom space. Tube bathroom accessories are a top choice for those that are looking for that modern finish to the perfect bathroom design. But what types of accessories am I talking about? There are soap dish holders, a stylish tubular mounting with glass dish, perfect for placing next to your basin or bath. The advantage is that you don’t end up with soap on the side of your basin or bath and that your soap has it’s own space in the bathroom. Then there are the tumbler holders, I love these they are so functional in any bathroom design available in both single or double, depending on whether you’re placing them in an en-suite or family bathroom. Next is the toilet roll holder, these tube bathroom accessories are an absolute must. Without a good toilet roll holder you end up with your toilet roll sitting on top of your cistern or on the floor, not practical and definitely not ideal. The toilet roll holders are stylish in design with a curved front flap that covers the toilet roll when not in use. Now comes the essential bit, your towel bars. Without these tube bathroom accessories you will end up with towels strewn across your bathroom floor, thrown over the edge of the bath or even strewn over the beds in your home. There is nothing worse than damp towels on a bed. The towel bars come in various sizes and you can choose between a single or double bar, perfect for any bathroom design, even the larger family bathroom. Towel rings are a great choice next to the basin, they are compact, stylish and the tubular design is carried through the space enhancing the bathroom. I am so strict on always having a separate towel ring and towel bar, I don’t like the idea of my guests using my bath towels to dry their hands and I’m sure my guests don’t like the idea either. With these tube bathroom accessories you can keep hand and bath towels separate and they are easily identifiable. My favourite of the accessories are the glass shelves. These again are complete with the tube moulding and the glass shelves are a welcome addition to any bathroom design. 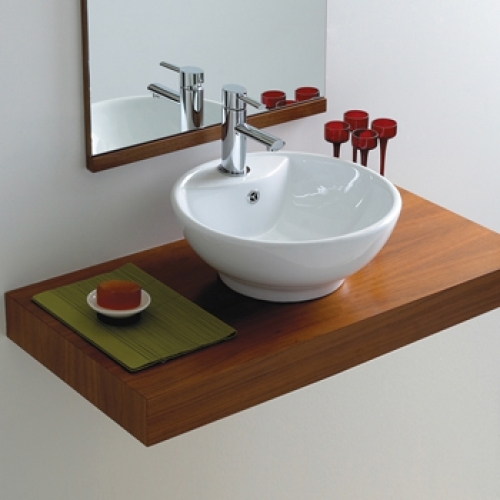 They can be mounted anywhere in the bathroom, though always work really well above the basin, giving you space to place some of your toiletries with ease. The start of spring is here, the flowers are starting to bloom and hopefully the weather is warming up soon. Spring is such an exciting time of the year, it means that ongoing cold, rain, sleet and snow is behind us and it’s time to start planning for the warmer days. When spring arrives most people start scrubbing their homes from top to bottom, spring cleaning helps us get rid of the old and start a new year with a spotless home. Why should you bathroom be forgotten this spring? After giving your bathroom a spring clean there are ways you can add that touch of spring to your bathroom, giving it a new lease on life, making it bright and cheerful and making it feel fresh and new. The first thing I always do when spring arrives is give my bathroom a new lick of paint, if you have tiles now is the time to check all the grouting, clean the tiles and have them looking new again. If you’re going to paint, keep the colour as light as possible, I always prefer white, you can add your splashes of colour in other areas. Once the walls are painted and the bathroom is gleaming clean after the spring clean. I set a small budget aside for some spring things. The simplest things like adding new towels to your bathroom can really welcome spring through the door. I always go for light blues, yellows and greens, fresh and light colours. Cool colours that will bring the brightness into the space. Combine green and yellow towels for an outside feel. Your new towels will look fantastic hanging on the towel rail or towel ring and will really enhance the space. Another thing I like to do is to change the blind when spring arrives, again adding that fresh and cool colour scheme. I tend to blend my blind with my towels, so bright greens, yellows and blues. Vertical blinds work wonders in a bathroom environment enabling you to open them completely or just open the slats slightly while still offering privacy. Add some flowers to the window sill, the fresh smell of flowers is always welcome in the bathroom and really welcomes spring into the space. Other options is to choose brightly coloured hand soaps and bath soaps, anything bright and cheerful to welcome spring into the bathroom area. As we all know bathrooms are becoming more luxurious. It’s become common practice when renovating your home or building a home to ensure that your bathroom brings a “wow” factor to the table. The advantage to having a modern and luxurious bathroom design is that it is a top selling point should you ever decide to sell your property in the future, a stylish bathroom can add value to the property. Everyone’s take on modern and luxurious is different, some people prefer the ultra modern look and the very minimalist design with loads of straight edges, clear glass and white tiles. Some prefer the more traditional feel with lots of curves, large items and comfortable experiences. Whenever you design your new bathroom you need to take your radiator into consideration. A radiator can be a blessing in a bathroom environment warming up the space, a welcome factor when you get out of the bath or shower. Radiators also offer you a place to hang your towel while you bathe, a warm toasty towel is always welcome on those cold winter nights. The great thing these days are the radiators designed for bathrooms aren’t ugly. In fact they are finished in a choice of fantastic and stylish design choices from the floor mounted options to those that you can hang on the wall. 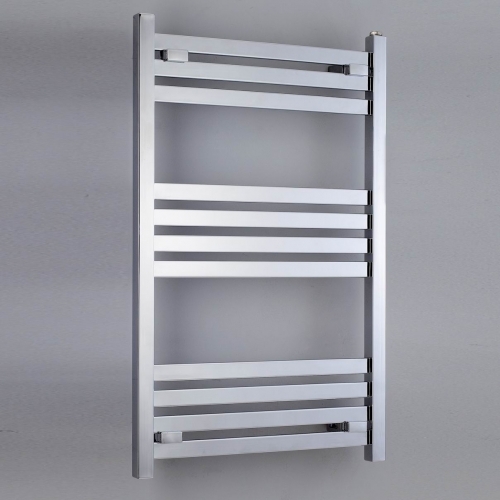 The designer radiators also come with a choice of either vertical or horizontal bars, so you can choose a radiator that will blend in with your bathroom design perfectly. You may be wondering about the radiator valves. If the radiators are so stylish and most finished in a polished chrome, the radiator valves available should also be stylish, modern and elegant. You’ll be pleased to know that they are. You can choose from cylindrical designs or square designs, perfect to blend in with any bathroom décor. The rule of thumb that I always follow is to keep your design flowing throughout the space. If you have chosen a minimalist design with lots of straight edges and square taps and shower heads, then your radiator valves should also be square. The same applies if you have chosen lots of circular items or those with gentle curves. Choose a radiator with round bars and then choose the radiator valves that blend in the best, those that have round dials, ensuring everything balances out and compliments each other.